MarketHairExtension was launched in 2008 with a goal to provide high fashion and high quality hair extensions and hair tools to our customers.MarketHairExtension endeavors to change traditional sales model, curtail circulation procedures, and transmit commodity to target customers directly from manufactures, thereby customers' purchasing cost is saved greatly, and manufactures can achieve more benefits. MarketHairExtension is part of the Eugenics Co., Limited., one of the world's leading online hair extensions retailers with operations in Australia, Shanghai, Hong Kong and the USA. With cross-continent operations we are able to work closer with our global distributors ensuring that we can provide you with the most comprehensive range of hair extensions at excellent prices. We are passionate about providing exceptional customer service and relish working in such a varied international setting. As a true worldwide retailer we offer our products worldwide and we are very successful. We are dedicated and passionate about providing our customers with outstanding products delivered in good time. That is how we get so many repeat customers every month. We also have a very strong business to business trade team and supply our product to many outlets around the US AU and worldwide. MarketHairExtension is online hair extensions shop. Depending on the professional manufacture plant in China, we sell various hair extensions with high quality but low price across the world. All our stick tip hair, nail tip hair,clip in hair,micro ring/loop Hair, tape hair, weft waving hair, PU Remy Hair are all 100% Human Hair without aciding. Since its foundation in 2008, MarketHairExtension have provided hundreds of customers with superior quality hair and won worldwide acclaims. All Transactions are processed by Eugenics Co., Limited. As a team oriented company, our growth and foundation has been built on the combination of the core values of our people. Our vision and values represent the core philosophies for how we live our lives, both in our personal lives and in our careers. We are privileged to be in a young, international and energetic environment where we can develop ourselves along with the Company. We strive to provide a unique, open-minded and collaborative platform for passionate people to find their calling, build their careers, and develop themselves! MarketHairExtension team is devoting in offering customers 100% human hair extensions with high quality on reasonable prices. We are enthusiastic about what we do, and aim to provide the most beautiful hair extensions to bring you greater charm. We ensure you that you can get what you have paid for. 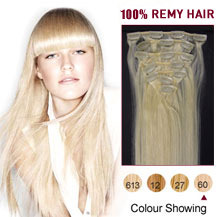 We are dedicated to produce our hair extensions with the highest quality. Our products are simple to use and maintain and with the most natural looking. 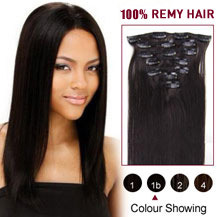 We use 100% virgin remy human hair, which is with highest quality in the current market. Our experts have over 20 years experience in the hair extensions industry. we are the supplier of many local branded hair extensions like pro extensions,easihair etc...The reason why we can offer such competitive price is that we don't have the brand name on tag of our hair extensions but we guarentee the style and hair type and texture are the same. Our hair extensions come directly from the manufacturers which we cooperate with. We do not use third party sources. so we are able to pass these savings to our customers. 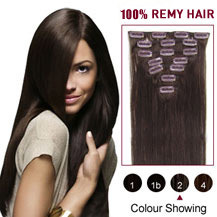 By our high quality hair extensions with competitive prices, we promise that you will be satisfied with our products. We are expecting for more cooperation with you.